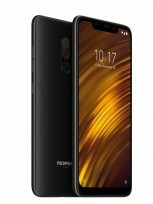 Xiaomi has just introduced the long-teased Pocophone F1 at a glossy event in New Delhi, India. 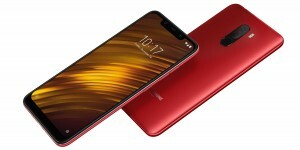 The new smartphone series is expected to diversify the Xiaomi portfolio and offer phones with even better value-for-money. The new phone has a 6.18” LCD with a notch and Full HD+ resolution (2246 x 1080 pixels in 18.7:9 ratio). The front of the F1 lacks any physical buttons, but there is infrared sensor for face unlock tucked in the notch. The panel is protected with a Gorilla Glass, but the company is yet to confirm the exact version. The rear camera setup of Pocophone F1 is 12 MP + 5 MP. 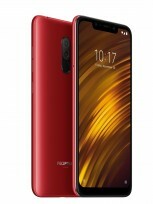 On paper that setup hardware looks the same as in the Xiaomi Mi 8 SE, with the main Sony IMX363 sensor packing 1.4µm pixels and sitting behind f/1.9 lens. The selfie camera does 20 MP still with an f/2.0 lens. It's joined at the notch by the face unlock setup from the Mi 8. It consists an infrared lighting, scanning the face and a separate lens that reads the light that bounces off from the face. 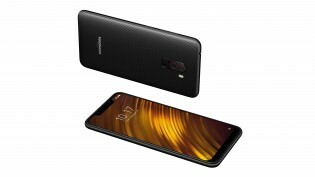 The Pocophone F1 even packs stereo speakers - one on the bottom, the second being the earpiece. Due to the phone arriving with so-called LiquidCool Technology, it should not heat up while used for gaming. 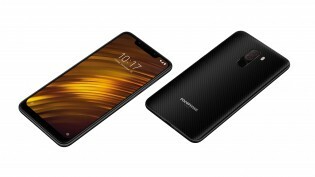 Pocophone F1 comes in three color variants - Graphite Black, Steel Blue, and Rosso Red. There is a fourth option called Armored Edition that has a Kevlar back for better grip and higher scratch-resistance. 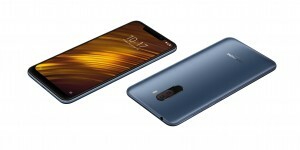 First sale is taking place online on August 29 - mi.com and Flipkart will offer the phone and they will be offering a special launch discount of INR 1,000. All the time some dude will come up and complain it could be cheaper? Typical beggars mentality. Wants to get top specs for unreal prices. Amazing price, while Samsung and Apple raising prices, not sure it is very smart to buy smartphone for thousands of dollars anymore.